"Come celebrate the 5th Annual Liquid Gold 5k and bring awareness to breastfeeding as we kick off World Breastfeeding Week. The beautiful morning starts off at the University of Nevada, Knowledge Center. Our well marked course meanders through the University campus and after the race please stay for our great kids event. There will be a children's fair, kid friendly vendors, live music, post race snacks and drinks, and a great raffle! And don't forget The Big Latch On which will take place after the race too! Free Parking near the start line in Brian Whalen Parking Garage off of Virginia. 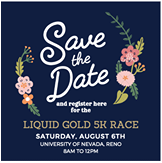 Liquid Gold 5k is sponsored by the Northern Nevada Breastfeeding Coalition, which is a subcommittee of the Maternal and Child Health Coalition. All running participants registering by July 21 receive a t shirt. Top prizes will be awarded to the overall winners and 1st stroller." 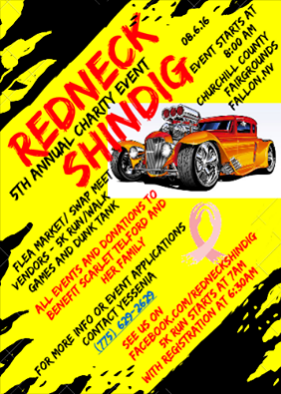 "This event is in conjunction with the Redneck Shindig, an event with the 5K, a Redneck Car and Classic Car show, flea market, human foosball, music, vendors, and other entertainment. It is a family friendly event to raise money for two cancer patients in the Central Nevada area. Registration begins at 6:30 am, run/walk begins at 7 am. We will have prizes for first place in our different categories. Please feel free to dress redneck for this fun event. We will have a map available at check in. T-shirts guaranteed to those who preregister." "Join us for the Reno 10 Miler & Relay, a 10 mile run for individuals or a 2 or 3 person relay for teams of runners. It starts and finishes in downtown Reno, Nevada and passes through the University of Nevada campus and other scenic and historic neighborhoods. Elite runners battle for prize money. This event is what the title says, a 10 mile run. Just beyond a 10K (6.2 miles). But not quite as far as a half marathon (13.1 miles). Or if you are more interested in running a shorter distance, get together a team and run in the 2 or 3 person relay. We'll divide the 10 mile course into three legs. On a 2-person team, one member will run two legs and the other member will run one leg. On a 3-person team, each member will run one leg. The legs will be between 3 and 4 miles. This is going to be a spectacular course that shows off many of the landmarks of the city and the University of Nevada." 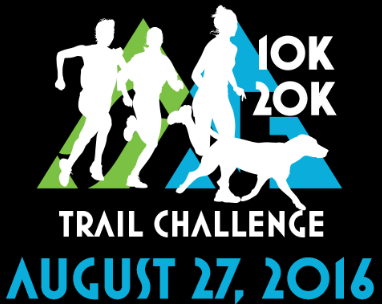 "The Big Blue 5K and 10K trail run happens on the same day as XTERRA Lake Tahoe. The course starts and finishes at the Village Green in Incline Village, NV. Bring the kids as this is a great venue for our shorter kids races for ages 4-12 years." "Tahoe Youth & Family Services (TYFS) is hosting its third annual Colorblast! 5K color run fundraiser as part of Carson Valley Medical Center’s Family Health and Wellness Fest 2016 on August 20th. 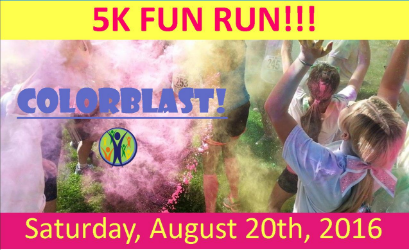 Unlike other 5K runs, COLORBLAST! runners get covered from head to toe in different corn starch based (totally safe and edible) colors at each kilometer. Each section of the run adds a new layer of color to the runner’s clean clothes, hair, and skin until they cross the finish line in a final colorful explosion. The race is non-competitive and runners from all ages and ability levels are encouraged to participate. Participants may run, walk, or jog; again participation is the most important piece. 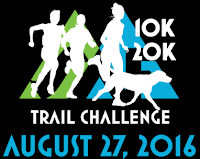 "The Marlette 50K is a truly adventurous romp through some of planet earths most scenic and challenging trails. Based at Spooner Lake in Lake Tahoe Nevada’s State Park the run features 30 miles of epic trail and view. Think prime Sierra single track and add in 360 degree panorama views of Lake Tahoe, the Carson Valley and Range. Marlette Lake lies in the middle of the course and if you’re heating up during the run feel free to take a plunge. The Marlette 10 Miler starts at Spooner Lake and heads north on the North Canyon Trail. Then heads along the south shore of Marlette Lake to the Marlette Lake Trail and back to the finish. This is a beautiful run featuring views of the canyon and Snow Valley Peak." "Experience dramatic scenery, demanding trails and genuine support on this point-to-point mountain course. The Castle Peak 100k trail race starts near the Emigrant Trail in Truckee, California, where runners will climb (and descend) over 14,000 feet at an average elevation of 7,300 feet. The course tours the Tahoe National Forest, Tahoe Donner, Donner Lake Rim Trail, Basin and Castle Peaks, Royal Gorge and Sugar Bowl before descending Cold Stream Canyon to the finish at Donner Memorial State Park." "Test your endurance or just walk in the natural beauty of the mountains we enjoy so much in the winter. Come out and participate in the SAF Summer Challenge run (or walk) from Squaw Valley Ski Resort to Alpine Meadows Ski Resort. Proceeds from the event will benefit the Squaw Valley Alpine Meadows Foundation and the Humane Society of Truckee." "Support your local competitive gymnasts and show off your super power. Prizes for best costumes! Come on out and bring the family for a super good time! 5K walk/run & 10K run. Kids under 12 run for free!" Benefiting Tumbleweeds Gymnastics in Minden, NV. "Come one, come all the the family friendly Dolan Auto Group Reno 5000 Series Finale! A quaint country run at the base of the Sierra Nevada mountain range, offering views and green rolling hills dotted with Pinon Pines. Fun for the entire family! The 5K, 10K and half marathon courses will start together this year, following 395 south to Franktown Road, each turning around and back-tracking to the finish at their respective turn points. Compete for age group awards, fun prizes and all series awards will be given out as well. 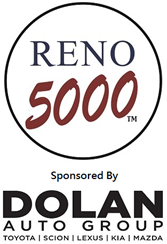 Celebrate the end of the summer race season with the Reno 5000 Bowers Mansion Country Run!"